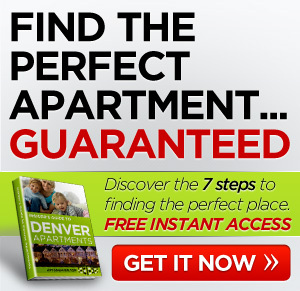 Looking for apartments in Denver that are a little more expensive than average, but won’t break the bank? Here’s a list of four wonderful communities along with the current rent rates for each one. Offering one-, two-, and three-bedroom units that range from 600 – 1,380 square feet, Hickory Ridge offers eight floor plans for you to choose from. The amenities here are great and include vaulted ceilings, a dry bar, washer and dryer connections, and more. Most of your local destinations will be within half a mile of your apartment (shopping, groceries, coffee, restaurants, and more) so leave your car at home now and then. Walking is good for you! The commute to downtown Denver is about 30 minutes each way. Offering one- and two-bedroom units that range from about 696 – 928 square feet, Ironwood at the Ranch was newly remodeled in 2007. You should take a look at the improvements. The property looks fantastic and the developers that worked on the project deserve a big raise. Many of your local shopping needs are met here within walking distance, but the nearest grocery store is just over a mile away, so you’ll want a car to bring back all those groceries. The commute to downtown Denver takes about 25 minutes each way. Units at Village Creek are available with either one or two bedrooms and the complex includes many premium amenities in some floor plans including private patios, vaulted ceilings, walk-in closets, and wood-style flooring. Near a Costco and several restaurants, you can get much of what you need within a mile from home. The commute to downtown Denver is about 25 minutes each way. Apartments here are available in one-, two- and three-bedroom units ranging from approximately 660 – 960 square feet. This property is notably understanding of tenants with past foreclosures and offers a generous pet policy. Most of your daily necessities including groceries, restaurants, shopping, schools, and more are found within a half mile of your new apartment, so take advantage of the opportunity to get some exercise. The commute to downtown Denver is about 20 minutes each way. 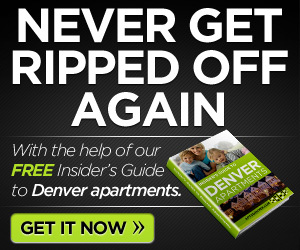 These great apartments are all just a little bit removed from downtown Denver and are above the average rent for apartments in Denver. 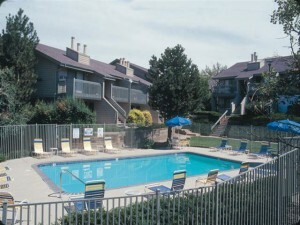 Each complex is well-established and professionally managed. I’ll be surprised if you don’t have a great experience with one of these places. How about you? Any luck finding apartments in Denver? Comment below.